Stay ahead in the market by tracking trends and ensure better ROI from marketing activity. Retail industry is replete with all sorts of categories catering to consumer requirements. Growth or decline of retail in any country represents the economy of that country. Thus, retail sales are driven by income, interest rates and consumer confidence. Other crucial factors for retail are seasonality, location, proximity to competitors and segments. Retailers need to be one step ahead of the market to predict trends and take actions accordingly to ensure profitability and growth. Gain insight into the current trends by analyzing the market as per top performing segments and low performing segments. Drill deeper by top performing brands and low performing brands in every segment to align your product or service offerings as per the statistics. Analyze which brands, products and services are contributing most to the economy and driving market sentiments. Calculate the growth in brand value year over year basis and identify factors causing the change. Abundance of data is already available for retail industry and more is created every day. The differentiating factor for any retail company is how they drive value from this data. Companies that use data analytics for decision making see a remarkable impact on their campaigns. Marketers need real-time information to discover opportunities , innovate new campaigns and measure ROI. Analyze monetary value of pipelines, closed won cases and see the factors contributing to it. 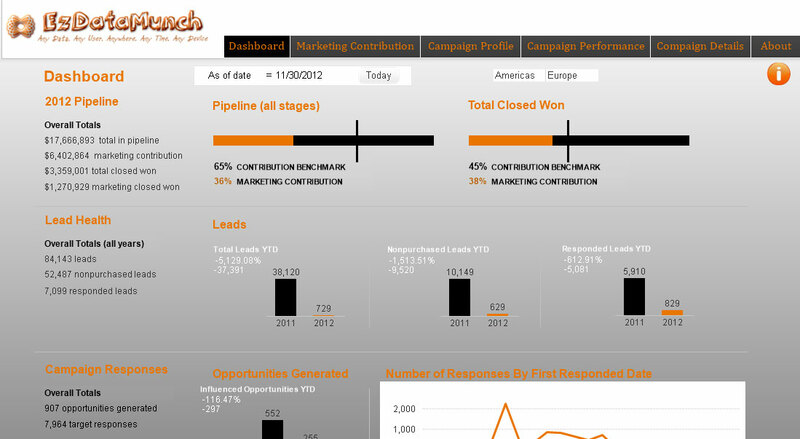 Analyze the performance of marketing campaigns against the benchmark set and track campaign response. Analyze total leads and check the contributing factors. Also compare current data with previous years data to track growth. 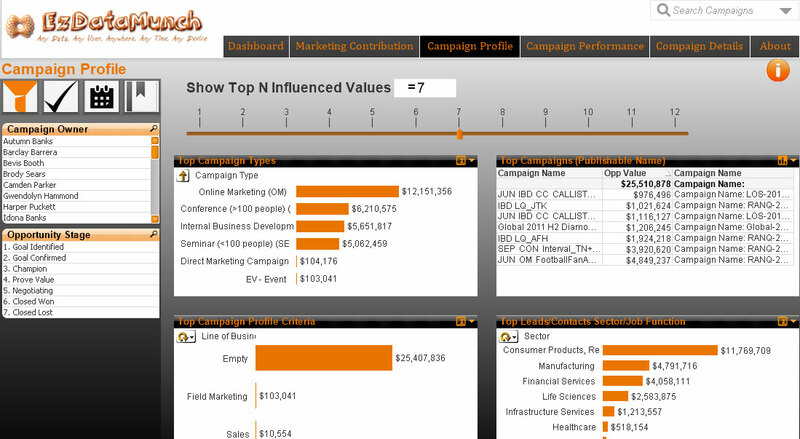 Check total campaign value and cost involved in them. 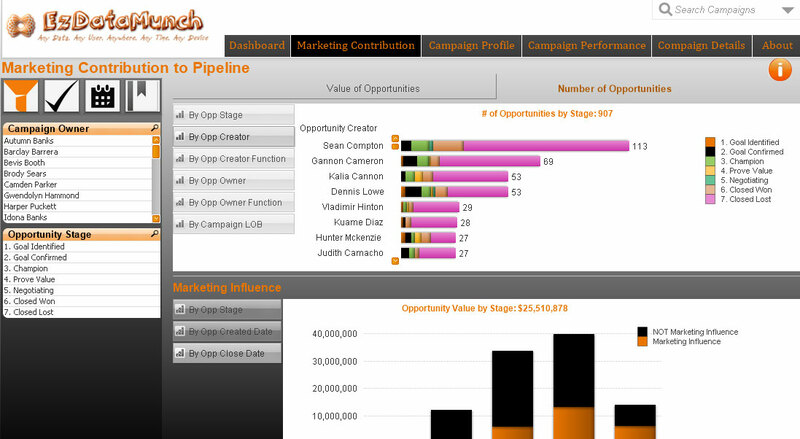 Track campaign owner’s effectiveness and the assumptions made to formulate the campaigns. Analyze opportunity value and understand factors that are influencing the opportunity at every stage. Get a closer look into every opportunity by knowing who is the opportunity owner. What stage the opportunity currently stands at. What were the efforts or measures taken to push the opportunity ahead in the sales funnel. See the total number of opportunities and drill deeper to check opportunity owner’s contribution. Identify bottlenecks faced by opportunity owners, articulate steps to overcome them and add value at every stage. Define campaign objective and set targets based on location, target persona and campaign type. 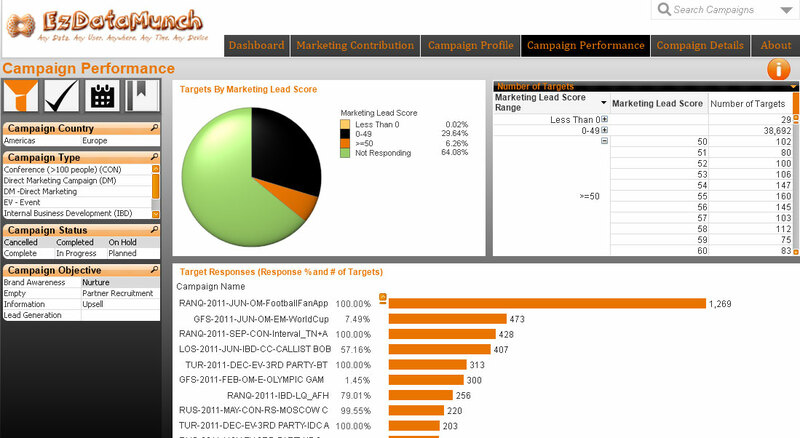 Analyze real-time response to all the campaigns and get insight into the factors like campaign message. Know the offers that are driving success or failure and take corrective actions to enhance the campaign. Know the cost of acquiring a new customer. Part 1: Visualization -Watch Video. Part 2: Data Transformation - Completed. Part 3: Performance -Watch Video. Part 4: Governance - Watch Video. Part 5: Integration and Mesh-ups - Watch Video. 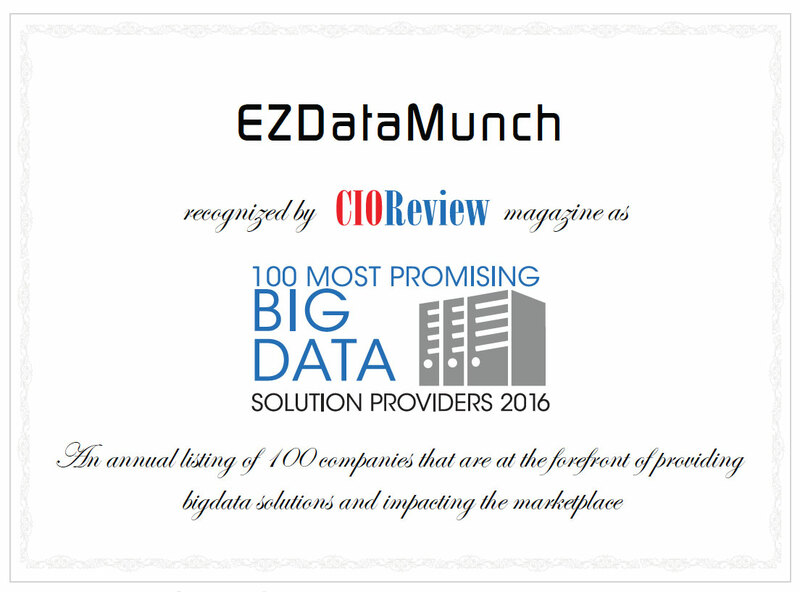 We gave a high level description of our requirements and within 48 hours EzDataMunch team came up with the entire prototype that provided us an insight into how the entire solution may look like. It was a great surprise to find a company can pull of something like this complex in couple of days. Are you interested in becoming a Partner ? Copyright © 2019 EzDatamunch. All rights reserved.